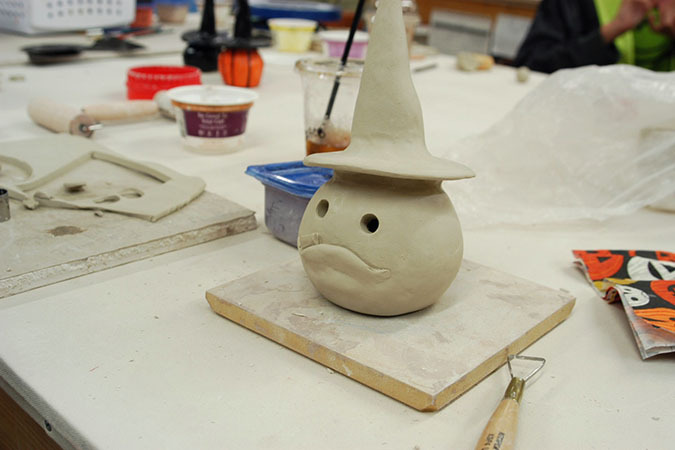 My October ceramic class took place earlier this month on a Wednesday evening. 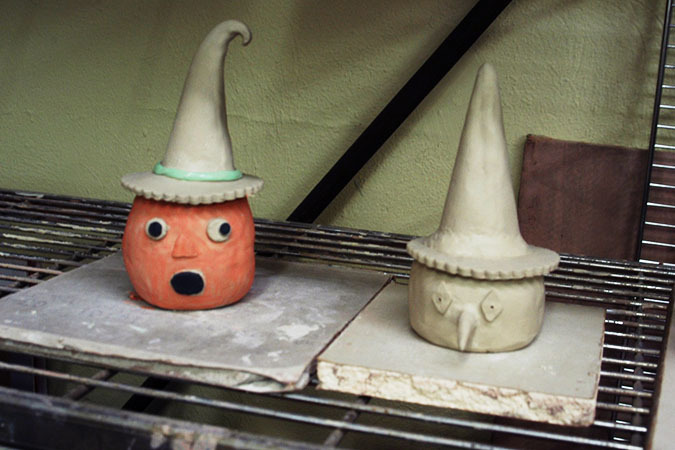 We made witches whose hats can double as a ring holder, or my favorite a donut holder! 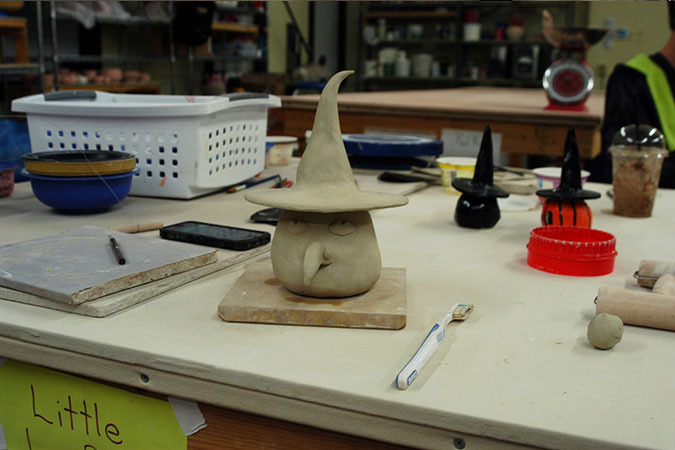 The creativity of those who take the classes never ceases to amaze me. 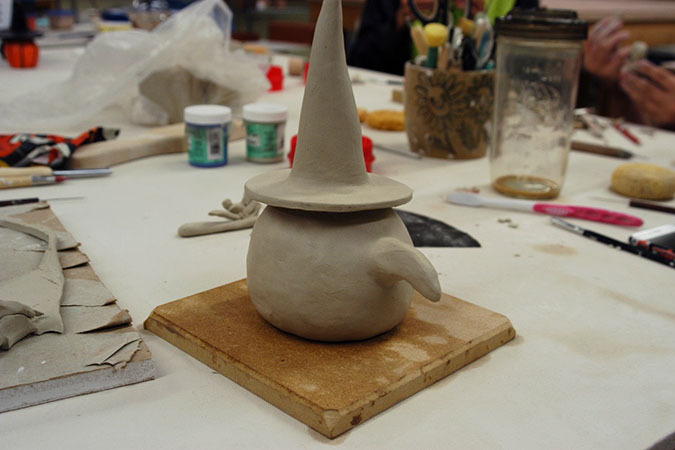 Since I teach teen and up my own 14 year old gets to attend and make an item too. 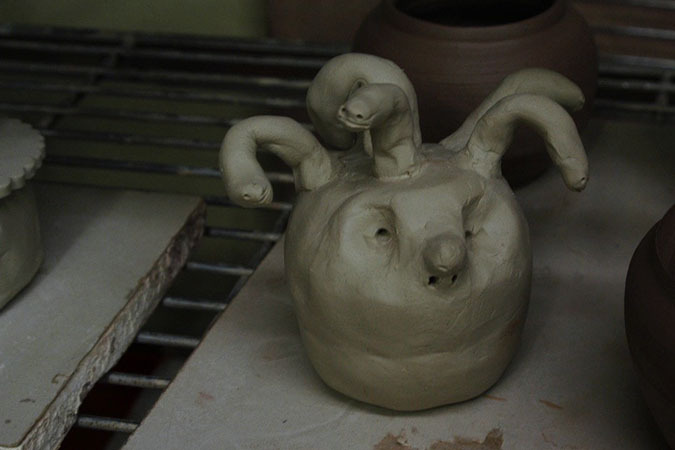 He likes to kind of go off on his own creative adventure and made a medusa head instead. I love the little snakes. The night before the event he and I created some yummy treats for the students. 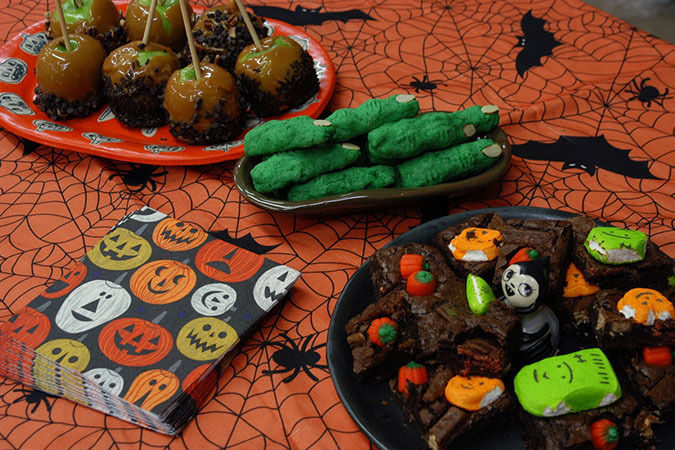 Caramel apples, pumpkin spice shortbread witch finger cookies, and trick r’ treat brownies. The brownies just involve baking up a pan of your favorite brownies and once you pull it out of oven immediately pressing a mixture of halloween candy into the top. 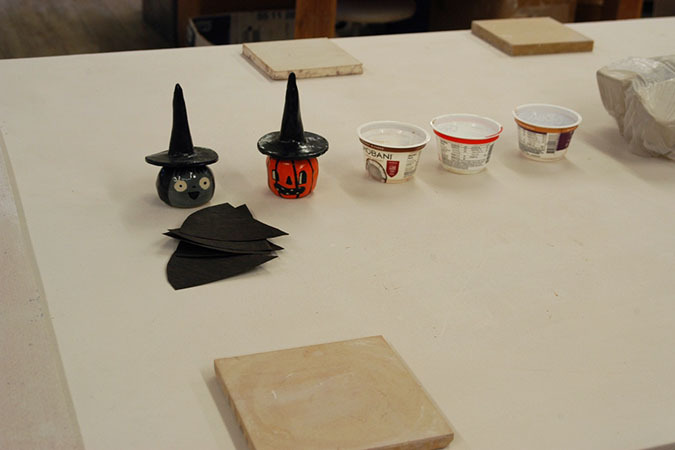 We used a variety of fun size candy bars, mellow cream pumpkins, and marshmallow monster of Frankensteins.